The Twentyx20 series for 2014 concluded this afternoon, with a talk by Damian Shiels on the Irish in the American Civil War. The series proved very popular again in 2014, and consistently brought in a large audience to the Library. The success of the Twentyx20 series comes from its’ simple format. 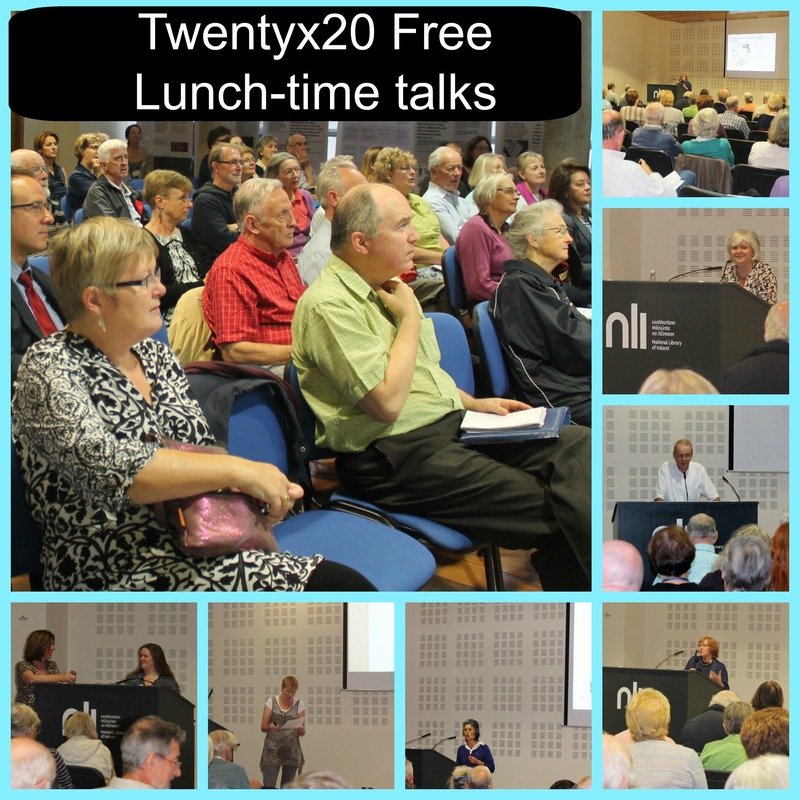 There are twenty talks, each of which lasts 20 minutes. Every talk is followed by a Q&A session where the audience gets to pitch questions directly to the experts. Each talk is a stand-alone piece aimed at entertaining and informing. 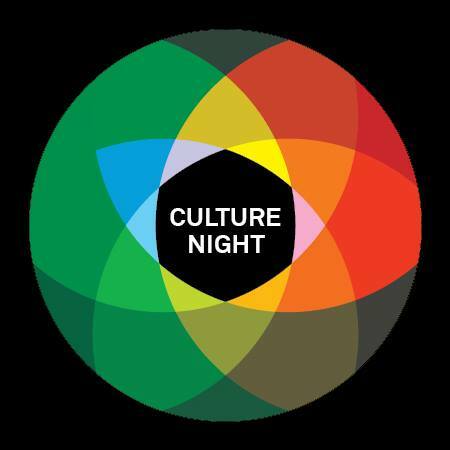 The twenty talks given in August, go towards creating a month-long programme intended to unlock the richness and diversity of Irish Family History. 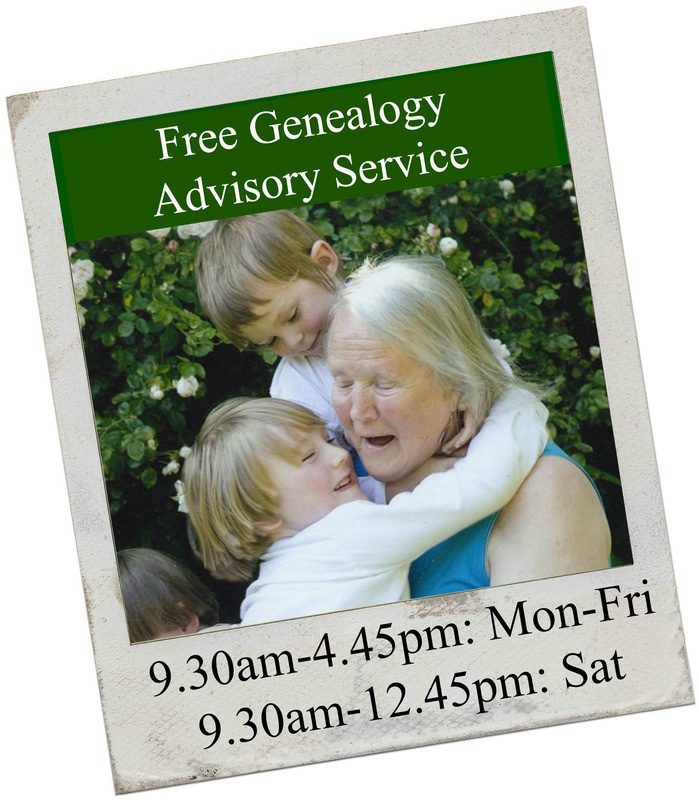 Family history is a multi-disciplinary subject, and the diversity of professional backgrounds on show during the month proved this. Our speakers included archaeologists, archivists and museum curators, geographers, historians, geneticists, theologians, and experts in women’s studies and I.T. 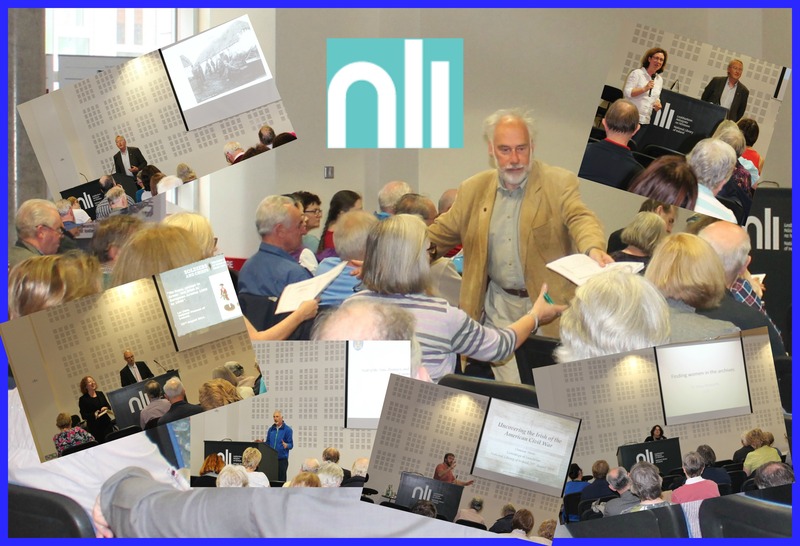 A huge thank you to all of our speakers in August – to the locals who walked, bussed or biked in; to those that travelled further afield from Limerick, Cork, Waterford, L’derry; and to the overseas speakers who flew in to Dublin to speak at the National Library of Ireland. 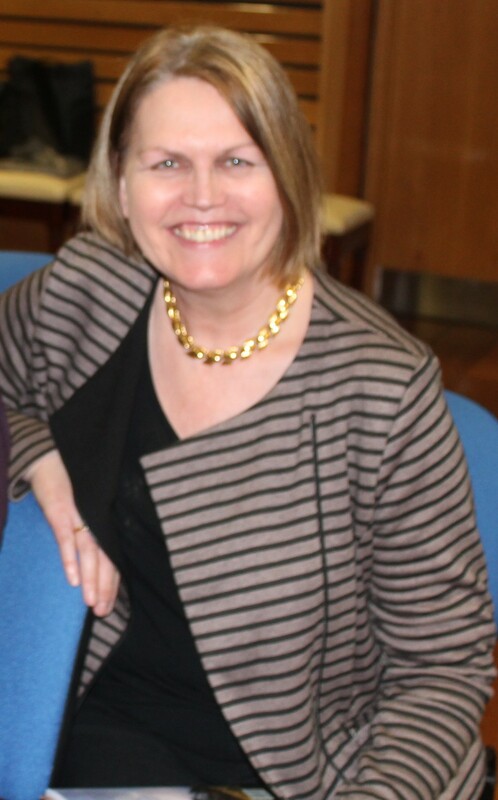 Finally, I owe a huge debt to Honora Faul of the National Library for her help and cheerfulness throughout the month. 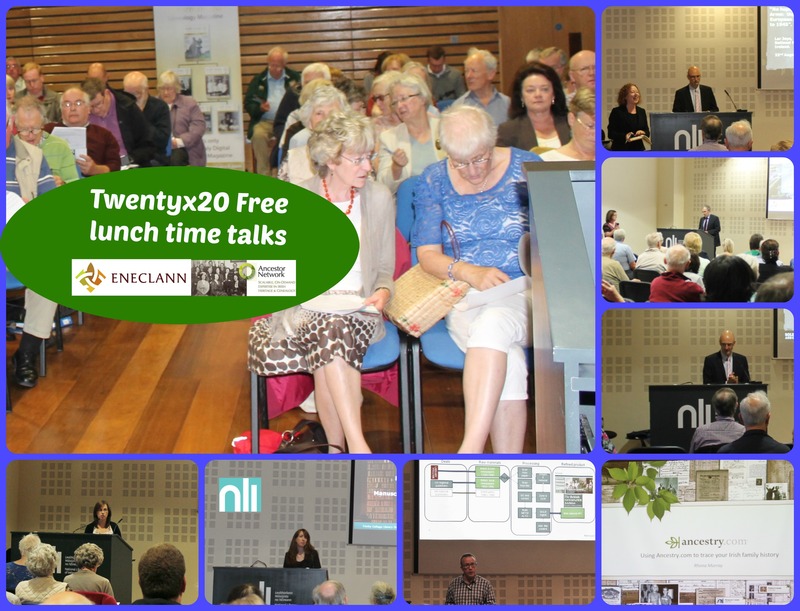 During September, we intend to construct a page on the Eneclann website, to provide an overview of all the talks that inspired you in the Twentyx20 series. We’ll let you know when it’s ready to view, through the newsletter. 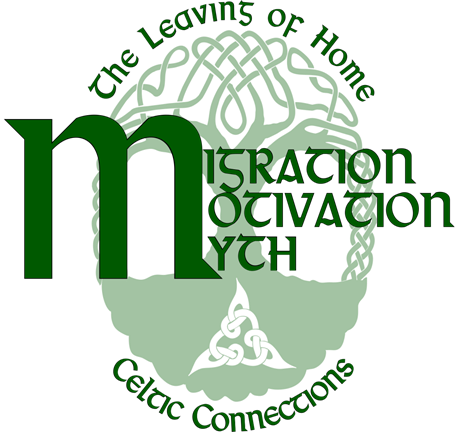 The Celtic Connections Conference was an invigorating new initiative from the two biggest Irish genealogical societies in the USA, The Irish Ancestral Research Association (TIARA) based in Massachusetts, and the Irish Genealogical Society International (IGSI) based in Minnesota. 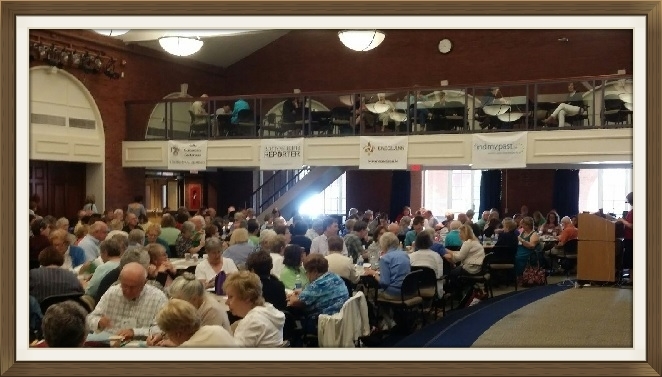 The event was completely sold out weeks in advance, such was the anticipation, and the nearly 400 attendees were not disappointed. Over two days, experts from North America and Ireland delivered lectures on a range of research topics at the cutting edge of Irish genealogy. BothEneclann andfindmypast.com were the main sponsors of the event, eager to promote the development of a forum for the development of Irish family history research in the USA. 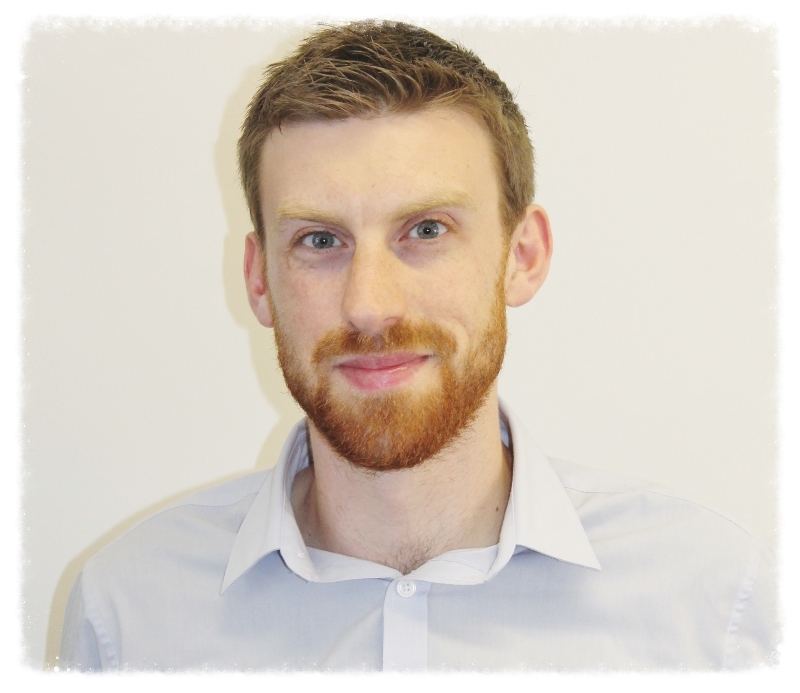 Brian Donovan, CEO of Eneclann and Irish Business and Data Development Director of findmypast attended, and delivered a keynote address as well as two other lectures. Also attending from Ireland were Eileen & Sean Ó Duill and John Grenham, with a range of important contributions on Irish sources, using record web sites and understanding Irish culture. There were many fantastic lectures on sources in Ireland given by speakers from America, including Donna Moughty, Richard Dougherty, and Nora Galvin. The understanding of settlement and culture was addressed by Sheila O’Rourke Northrop and Kate Shadbourne. It was exciting to hear of the many new records and methods being developed in the US for determining the place of origin of Irish settlers. Just as we in Ireland are moving well beyond the traditional record sets for research, so are they. Kyle Betit and Marie Daly delivered excellent presentations precisely on these topics. DNA was also addressed by three speakers Beth Vought, Mike Maglio and Dianne Plunkett Latham. And there was a nod to our Scottish cousins in two presentations by Bill Budde. Very unfortunately Dwight Radford had to cancel his lectures at the last moment due to ill health. Brian Donovan and Janis Duffy stepped in to give replacement lectures immediately. We wish Dwight a speedy recovery. Overall there was a fantastic exchange of knowledge, and an enthusiastic response from the attendees. The best news is that the IGSI is hosting the next conference in 2016 in Minnesota. If its anything like this event it’ll be a must for all those engaged in Irish family history research. We have introduced overseas visitors to websites they may not yet have encountered, such as irishgenealogy.ie www.findmypast, and dublinheritage.ie . For many this was just the impetus they needed to continue their searching long after their departure from our shores. Frequently, visitors arrive at the Library on the last day of their holiday and are very pleased to know they can continue their searches online. What has not changed over the last five years is the great hunger that exists amongst people to trace their family. The interest in this area continues to grow and we are delighted play our part in this developing field. One of the pleasures of working in the Library is meeting generations of the one family who, drawing on combined skills in the area of oral history with the application of computer know-how, can really make progress in tracing their family history. 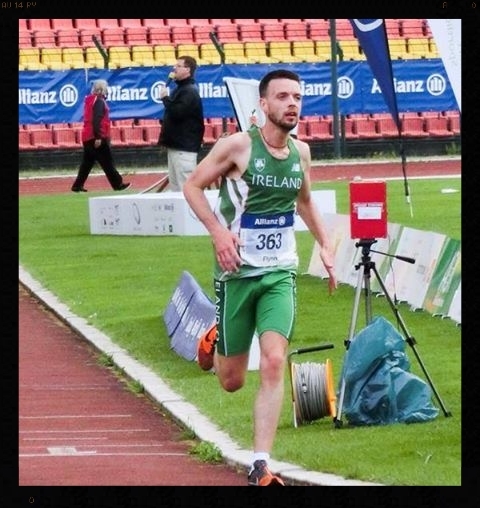 Making his senior championship debut Ireland’s Eneclann’s Archive and records management staff member Andrew Flynn ran a personal best time of 16:47.69 to finish seventh in the final of the T13 5000m at the Paralympic Athletics European Championships in Swansea. 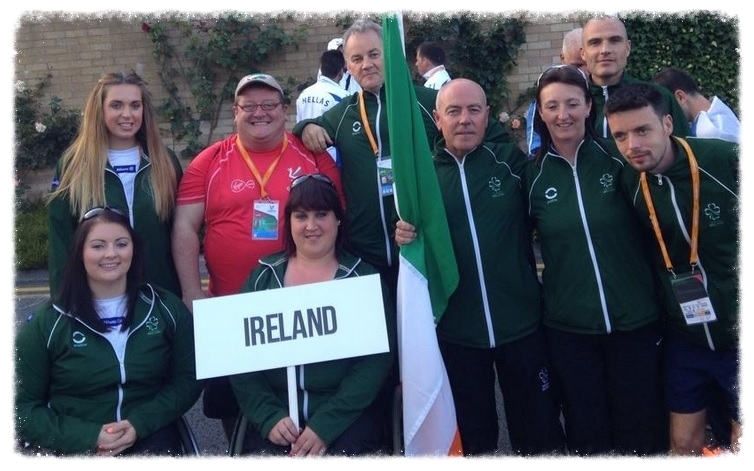 Impressively Andrew bettered his previous best in Paralympic competition by over eight seconds. The race was won by reigning European champion Alberto Suarez of Spain in a season’s best time 14:56.04. The Expert Workshops for Continuous Professional Development, start again this September. Kay, has written a number of family and local histories. Her book The Kerry Girls tells us the true sory of 117 Kerry girls sent to Australia in 1849/1850 from Workhouses in Dingle, Kenmare, Killarney and Listowel, under the auspices of the Earl Grey ‘Orphan’ scheme. 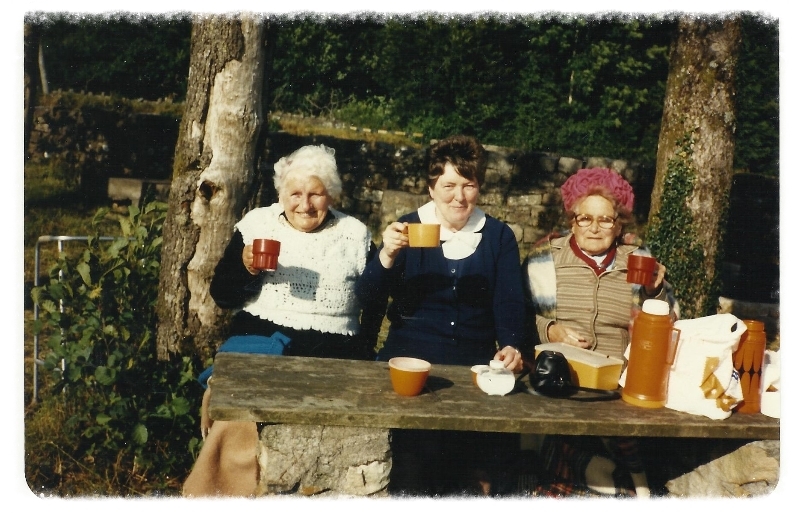 Having completed the Certificate in Family History & Genealogical methods at the University of Limerick, she used her genealogical experience to trace these long forgotten girls back to their roots in Kerry. 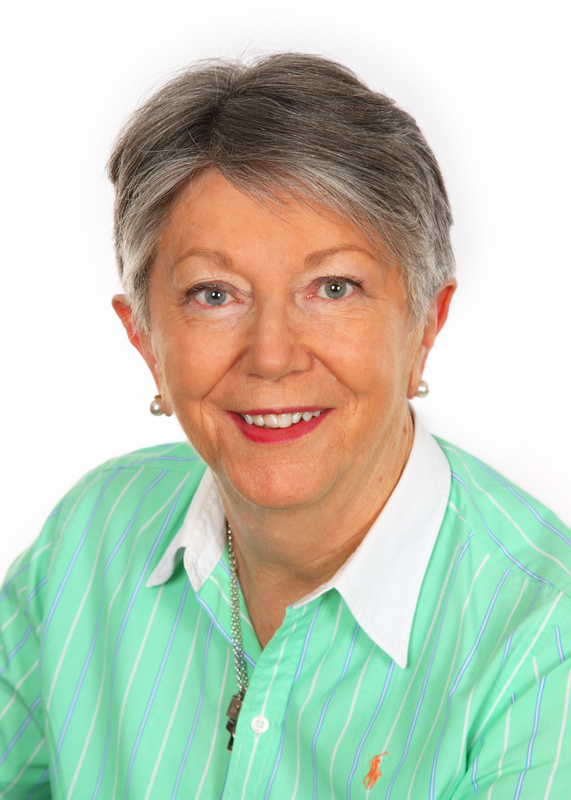 She is a member of the Ancestor Network’s Expert Panel. 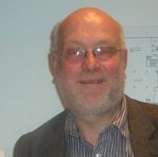 Dr. Gerard Moran has been a lecturer in the Dept. of History at NUI Galway and NUI Maynooth, where he established and was it’s director of the MA in Irish History programme. 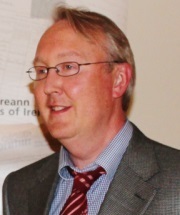 He has published extensively on nineteenth-century Ireland and his research interests include Irish emigration and diaspora, agrarian agitation and social conditions in Ireland. He is the author of Sending Out Ireland’s Poor: Assisted Emigration from Ireland in the Nineteenth Century (Dublin 2004); Sir Robert Gore Booth and his Landed Estates in County Sligo: Land, Famine, Emigration and Politics, 1825-1876 (Dublin 2006); and is joint-editor of Galway: History and Society (Dublin 1996) and the forthcoming Mayo: History and Society. A recent trip to Vancouver taught me that even 5 thousand miles from home, there is fuel to stoke the fire of how I think about family history. While there I had the opportunity to visit the, rather excellent, Museum of Anthropology (MOA), which housed a large number of First Nations artefacts. The First Nations people, similar to a number of their counterparts in North America, displayed totem poles in front of their homes as a means of communicating who the occupants were and also the family origin story. These homes or ‘Big Houses’ often contained many generations of the family under one roof (a phenomenon not alien to the Irish researcher). The family history of the First Nations’ people, which was clearly important to them, was one based on artefacts and oral history. As researchers we become obsessed with textual documentary evidence, moving from birth certificate, to land record, to passenger list and beyond. However, often a crucial piece of the puzzle isn’t a document, but a story or an object. Clients will often come to us with what seem like fantastical stories, however more often than not there is at least some kernel of truth in the oral history, although often altered over time, like a game of Chinese whispers played over generations. Equally artefacts can provide clues to our ancestors’ lives and adventures. Correspondence, family bibles, photographs, all offer potential new sources of information. In the absence your direct ancestors oral history and heirlooms, remember that family is more than your parents and grandparents. Elderly aunts, uncles or cousins may be the keepers of the family tales and heirlooms. Equally, if you know where the family homestead was, elderly neighbours still living in the area, may know the story of why or when the family left. Throw your net wide when searching for stories and artefacts. Family history can be found anywhere, it just may not be staring down at you from a 30-foot wooden pole.By, Stephen Peirce,Eneclann research expert.